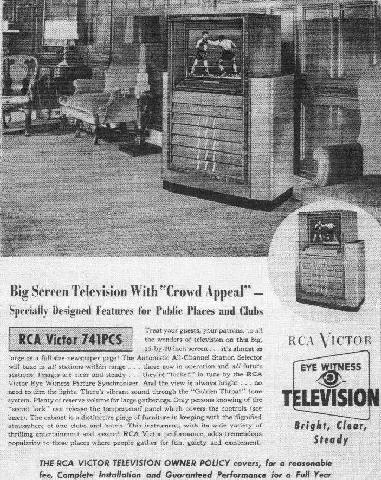 The RCA 741PCS projection set was announced on March 3, 1948, production continued through 1949 with 1,843 being built. The selling price was $1,254.25 about $500 more than the home units (8PCS41 & 9PC41) that were produced during the same period. This set was probably aimed at the high end gentleman's club or restaurant. 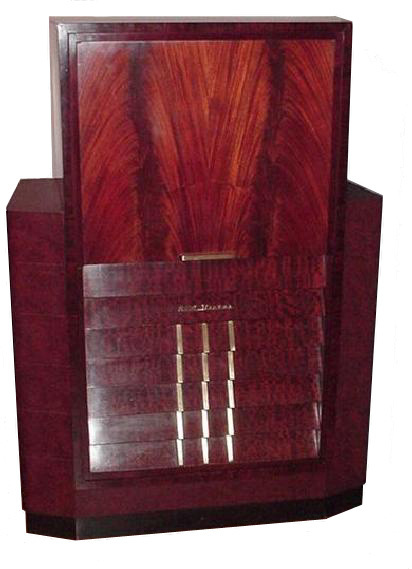 The lower section of the cabinet is covered in a leatherette material similar to what is now called naugahyde, the center and projection section is a beautiful flame mahogany veneer. The TV controls are hidden under the center door and can be locked by a slide bolt hidden under the top horizontal slat. The screen and control panel are hidden from view when the pocket door is slid out and dropped down. 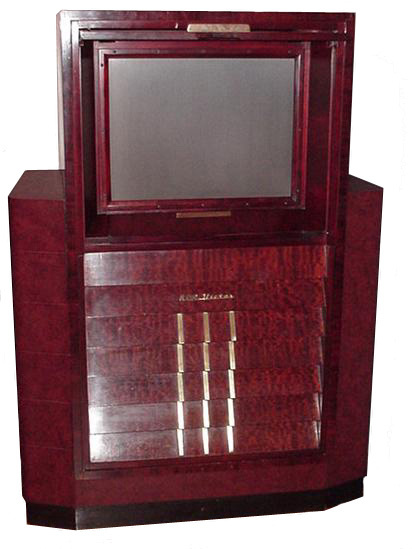 Advertisement for the 741PCS television, appears to be located in a men's club. Click on the image above for a full size picture.